Right Rugs, Right Prices, Right Away! 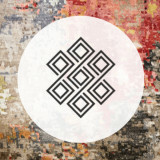 Area rugs of all shapes and sizes perfect for any space inside or out! We carry the full line of rugs made by Kalaty, Loloi, Surya, Jaipur, Safavieh, Nourison, Dash & Albert, Dalyn, Momeni, Capel, HRI, Anji Mountain, Bashian, Bokara, Chandra, Global Views, Couristan, American Dakota, Dynamic, Flagship, Nuloom, Joy Carpets, Kaleen, Kas Oriental, Delos, Louis De Poortere, Kane, Nourison, Orian, Oriental Weavers - Sphinx, Tibet Rug Co, Rhody, Colonial Mills, Calvin Klein Home, Kathy Ireland, Antrim, Stanton, Shalom Brothers, Tayse, The Rug Market, Rugs America, Trans-Ocean, Modern Nature Design, and MORE! Contact us today for assistance. We can help you find the perfect rug at the best possible price! 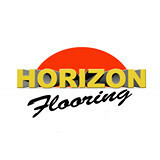 Horizon Flooring LLC is a full-service flooring company, focused on customer satisfaction and quality installations. We sell and install carpet, vinyl, hardwood, LVT and VCT. Give us a call today and we will help you find the right floors for your project whether it is big or small, residential or commercial. We also do repairs. Carpet One Floor & Home is North America’s leading floor covering retailer, with 1,000 independently owned and operated locations in the United States, Canada, Australia, and New Zealand. Carpet One Floor & Home stores are known for a broad selection of carpet, wood, laminate, ceramic, vinyl, and area rugs, including exclusive brands like Bigelow and Lees. They offer a unique customer experience with the exclusive SelectAFloor merchandising system that simplifies the shopping experience and The Beautiful GuaranteeTM, which guarantees that the customer will be 100% happy with their floor. At Floor Source we pride ourselves in being a leader in the flooring industry. We make it our priority to provide our customers with extensive flooring selections to compliment any home interior and fit every budget. We know style and our showroom is full of high quality brands and economical, durable flooring choices. Floor Source provides all of the expertise you need to choose the best flooring type for your project. We are dedicated to making sure our customers feel confident in their flooring investment. We offer a variety turnkey solutions accompanied by interior design advisement and overall project coordination. At Floor Source, we leverage our contacts and buying power to deliver the highest level of results. 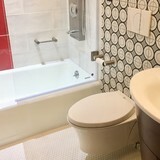 Tile flooring options are endless. Tile works well with both traditional and modern motifs and we offer an extensive variety of selections in ceramic, porcelain, and even stone. Durable, low maintenance and easy to clean, tile is a resilient, low maintenance option. Wood flooring is long-lasting, sturdy and timeless. Though they do require routine upkeep and do not thrive in areas of high moisture, wood floors can last for hundreds of years if they are properly maintained. Some of our selections include bamboo and cork, as well as solid and engineered hardwood in many species both exotic and domestic. Resilient flooring has come a long way. In fact, many of today’s resilient flooring options look almost identical to real hardwood and stone. Resilient flooring is a good option for high-volume traffic sections of a home or areas that tend to be exposed to moisture. Laminate, sheet vinyl, and luxury vinyl are some of our most popular products. Carpet brings a touch of luxury and comfort to any interior space. There are many things to take into consideration when considering carpet. An important consideration is foot traffic and the volume of foot traffic in the area you plan to carpet will help you significantly in your decision making process. Floor Source’s design consultants will be able to help you with carpeting decisions such as material, be it polypropylene, nylon, or wool. Floor Source is here to help you, as our client discover your individual style, offer advice on selection options, and coordinate the project execution to your satisfaction. Come see our beautiful new showroom and experience the difference for yourself. Family owned business that provides carpet, laminate, hardwood, tile, vinyl, area rugs and custom binding to home owners and builders. More than just carpet, Your Beautiful Floor Store. We carry all your flooring needs and more. 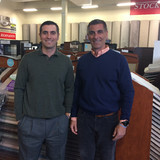 We are a family owned flooring Superstore. Our philosophy is to educate customers on understanding all their flooring options at a valued price with excellent customer service. We encourage our costumers to ask questions and enjoy seeing any project small or large through from start to finish. Beautiful, durable, eco-friendly (green) floors are the perfect marriage of form and function. Earth First Flooring & Tile Company, located in charming Florence, Mass., right next to the post office, is committed to offering the highest-quality planet-friendly flooring along with unsurpassed customer service and installation. Our products are sustainable, recycled and recyclable, offer low-energy consumption and maintain good air quality. We offer a gorgeous array of flooring options, ranging from the latest and greatest green materials–bamboo, cork, and glass–to tried and true contenders like vinyl and linoleum—all eco-friendly. We carry a wide variety of tile, hardwood, carpeting, and industrial and rubber flooring, which is virtually indestructible and perfect for the workplace or your personal gym, garage, or shop. A floor is a long-term investment, and we want you to be happy for many years to come. It is no secret that big box stores generally offer substandard products at a cheaper price. These floors are, for the most part, made from non-recycled and non-recyclable materials. They also do not usually carry a life-time warranty, as many of our products do. One visit to our showroom and you will see the difference. Many of our products are installed on our floors so you can feel them under your feet—you’d be amazed at how much variation there is in how flooring feels. We also offer design consultation to help you choose the best product for your home; free measurements and estimates; and expert installation (accompanied by a lifetime guarantee). We also install radiant heating, remove and dispose of old flooring, and sand and refinish existing wood floors. We are First Rugs with two modern 6500 square foot shops in Danvers (since 1996) and Acton (since 2009), Massachusetts, and ten knowledgeable dedicated staff members with a total of 150 years of rug experience waiting to assist you. We are not a general floor covering mega store where you can easily lost or a vague and shady high pressure Oriental rug kiosk with a Levantine proprietor. Designers and architects throughout the U.S. and Europe value First Rug as a primary resource. 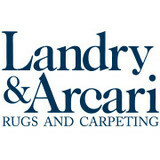 First Rug has a local national and international clientele. We also publish research on antique carpets. Carpet Carousel, located at 39 Union Avenue in Sudbury, is your full-service flooring retail store to serve all your flooring needs. In business for over 30 years, Carpet Carousel takes pride in their personal service and professional knowledge to satisfy the most discriminating consumer. We take pride in our family-owned and managed business and consider your satisfaction our success. Shopping for the right flooring may sometimes seem overwhelming. There are so many flooring options from which to choose. Whether you are shopping for carpet, wood, tile, cork or laminate, Carpet Carousel will help you navigate through your options. Carpeting is subject to a significant amount of wear and tear, so it’s crucial to make sure a new carpet installation is done correctly, or that an existing rug is maintained properly. Enter Weare carpet dealers. From carpet repair to custom carpet design, these professionals specialize in anything and everything that is carpeting, and can help ensure that your Weare, NH home’s new rug starts off — and stays! — in great shape. Carpet dealers in Weare, NH help homeowners choose the correct carpet covering for their floors, and also assist with carpet maintenance. This includes determining factors like material, carpet pile, durability, color and size, as well as helping with any custom carpet design. After completing the initial installation (which includes removal of the old flooring, if applicable, and surface prep), they may also handle follow-up maintenance requests such as carpet cleaning, carpet repair and carpet stretching. Carpet dealers might work closely with New Hampshire contractors, interior designers and others in the home building and home improvement industry. Here are some related professionals and vendors to complement the work of carpet dealers: Interior Designers & Decorators, Design-Build Firms, Specialty Contractors, General Contractors, Home Builders. Find a carpet dealer on Houzz. Narrow your search in the Professionals section of the website to carpet dealers in Weare, NH, and read reviews and ratings for pros in your area.